Taken in Michigan's Eastern Upper Peninsula - a few hours ago, about 1/2 mile from my home on the north shore of Lake Huron. 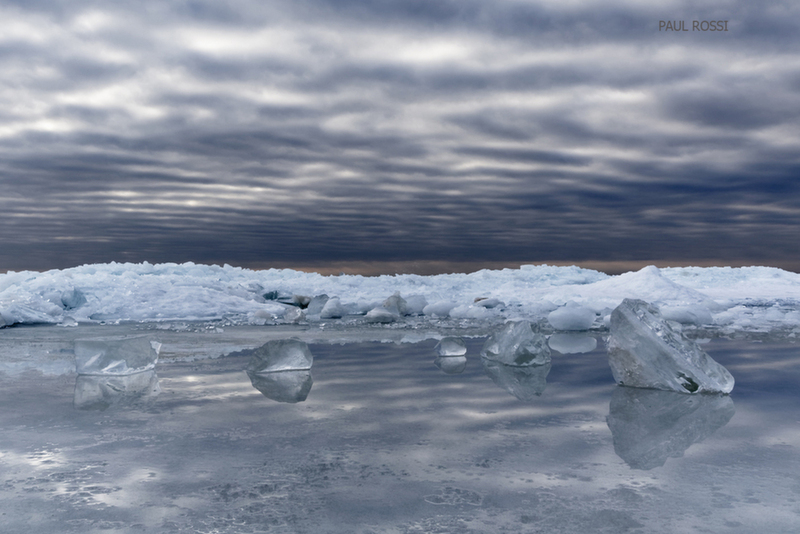 The clouds really speak to me in this one, and the shiny chunks of ice. Great mood created here. Wondering how a little higher vantage point would work....showing the horizon? When I took a higher perspective I did not like the look of the dark blue water (beyond the beach ice) dividing the frame, and I lost the reflection of the ice chunks. Moody and magnificent! I wouldn't change a thing.